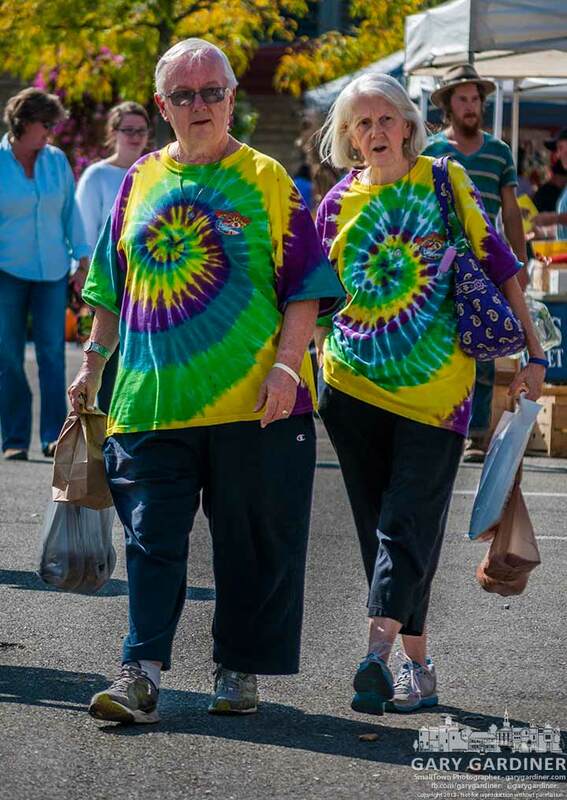 An older couple wears tie-died shirts while shopping at the Uptown Westerville farmers market. My Final Photo for Sept. 18, 2013. 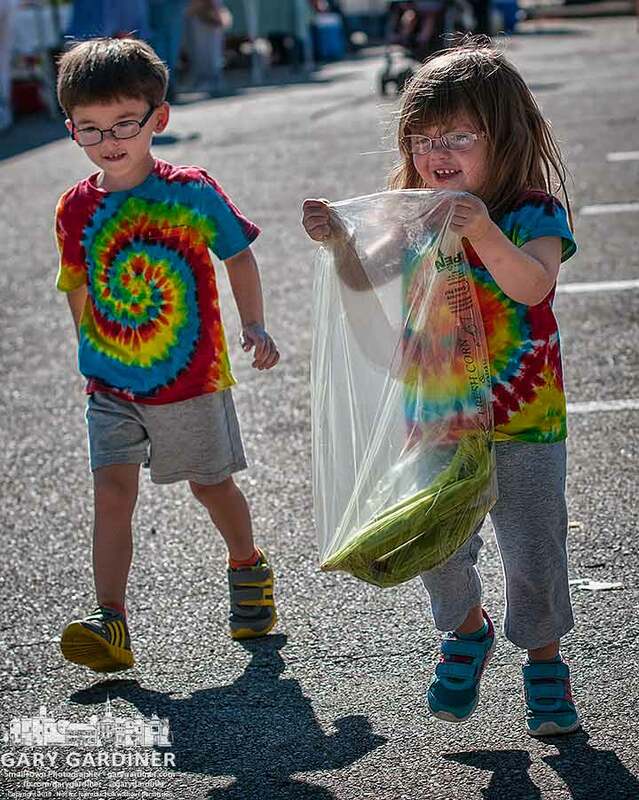 Two week’s ago at the market.